On average a person uses approximately 300 litres (75 Gallons) of water each day – for cooking, cleaning, bathing, laundry and, of course, drinking. This is why improving the quality of your water can noticeably benefit you and your family.Reliance™ offers a range of options to improve your water quality. These include whole-home and at-the-tap purification systems & filters to treat various concerns and satisfy different customer needs. Renting a water purification system from Reliance can help improve the quality of water in your home – and best of all, it can be inexpensive, better for the environment (reducing plastic bottle usage) and produce water that tastes clean and refreshing. Our water treatment solutions are designed with you in mind & make getting cleaner and fresher water easier for you. Review the tabs below to learn more about the water treatment solutions available. 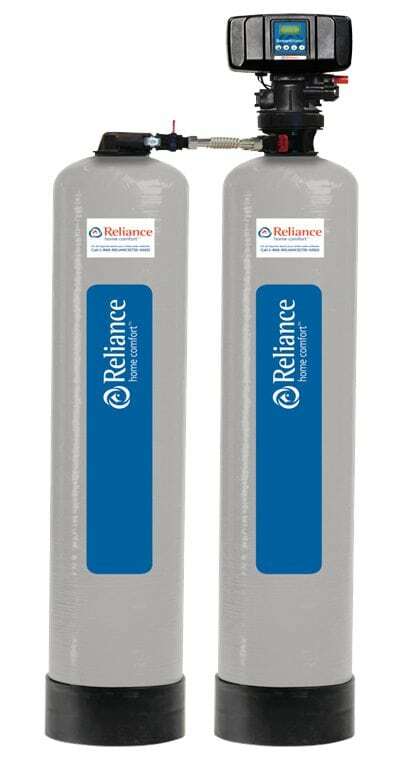 Reliance rental customers can save $5 per month off the rental of select Water Softeners and Water Filters. 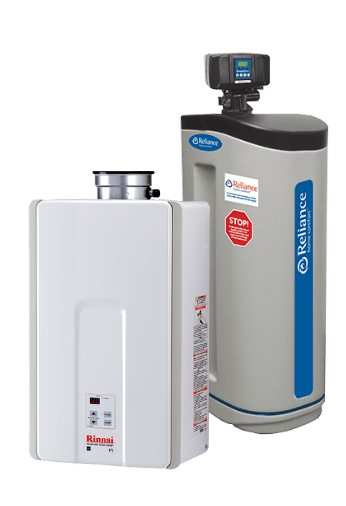 A Reliance Home Comfort™ Water Purification Advisor can help determine what water purification solution is right for your home and family’s needs. Enjoying clean, clear, odour-free purified water is a simple step away. Chlorine is an effective water disinfectant used by municipalities to eliminate contaminants from drinking water. While our municipalities have high standards for water treatment, chlorine can impact the taste and smell of your water. A Whole Home Chlorine Filter, offered by Reliance™, can help purify your home’s water supply, providing clean, odour-free water for you to drink and enjoy. Plus, because the filtration process happens right at your home’s water source point of entry, all the water in your home is filtered before it makes it through to your tap for drinking, cooking, bathing and washing. IRON FILTER DUAL TANK: Our Dual Tank Iron Filter System installed at the main water line is excellent at removing high levels of iron from all the water used in your home. This is the ideal solution to help eliminate the metallic taste in your drinking water and foods cooked/washed in water, and to help avoid yellow, brown or rusty stains on your plumbing fixtures, sinks, water-consuming appliances and laundry. IRON FILTER SINGLE TANK: Installed at the main water line, our Iron Filter can effectively remove iron, manganese and hydrogen sulfide from all the water used in your home. If you’re experiencing foul-smelling (rotten egg/burnt match) water or dark stains on fixtures and pipes, an Iron Filter is a must. This filtration system also helps avoid yellow, brown or rusty stains on your plumbing fixtures, sinks, water-consuming appliances and clothing. To learn more about the benefits of a Whole House Water Filtration, talk to one of our water quality experts or book a consultation online. Keep the comfort and the savings flowing round the clock — with a water heater plus water softener bundle. * Existing Reliance rental or protection plan customers are entitled to a $5 rate discount for so long as they maintain their existing rental or protection plan service in good standing. ** Subject to standard terms and conditions. Additional charges may apply in the event installation upgrades (i.e. code required venting) are required.